Tom has returned to running with 1-mile runs for a few days counting and I took advantage of his post-work departure to step outside myself today. As I’d done in the past, I walked out the door, set a 10-minute timer, and simply walked until its buzzing signaled time for my return. 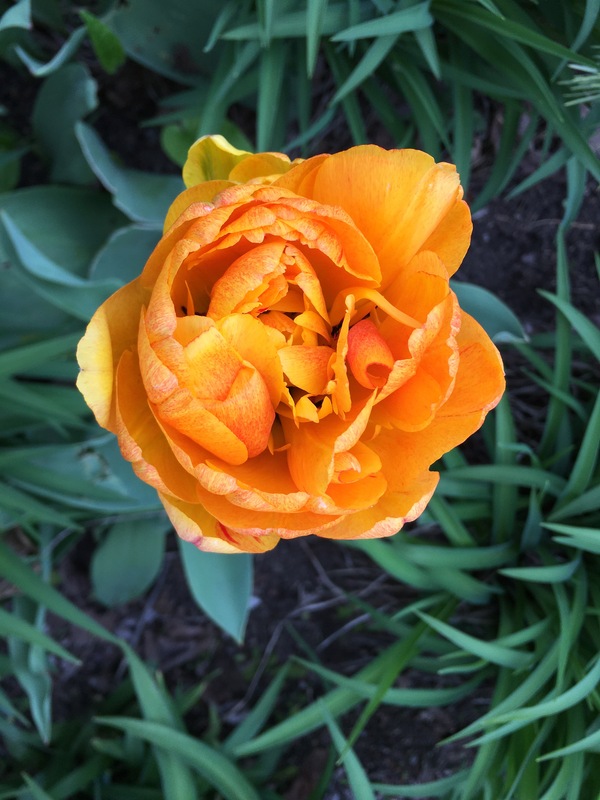 I took exactly one picture of one stand-out tulip thinking it might give me something to add to a short post declaring this tiny victory to you.